Onboarding new customers to your software can seem like a daunting task, especially in the era of ever-growing customer expectations. If onboarding is slow, unattended customers will wander off to competition, and optimizing customer risk management is key. Obstacles such as these are compounded by the fact that customers expect to get a product that is tailored to their needs, works properly every time it is used, and is backed by adequate customer support. Though there are strategies in place for dealing with the challenges of customer onboarding, many are unfeasible or have proven a failure. Below are six onboarding mistakes you should avoid if you want to convert your early adopters to permanent customers. Your product took a lot of time, effort, and thought to develop, and it’s easy to fall into the temptation of using adjectives like “groundbreaking”, “revolutionary”, and “life changing” that might not be entirely accurate. Beware of falling into the trap of overpromising, as if your customers don’t experience the same value that you do, they probably won’t stay onboard long. Consider finding a neutral third party to read your copy and describe the experience he or she imagines. If the descriptions don’t match up, you’ve got a marketing disconnect that needs to be resolved. Users don’t have the unlimited attention spans, so it’s your job to get them signed up for your product and experiencing benefits as soon as possible. Don’t make your users jump through hoops or put in a lot of time before they see benefits. Onboarding isn’t about training users on every feature of your interface right away. Instead, focus on getting them to the first small win that demonstrates your value as fast as you can. When a customer perceives that response times are too slow, there is a greater chance that they will find another product to serve their needs. Responsive customer support is important at any point in the sales cycle, but it is particularly important during the onboarding process. Be prompt and proactive when responding to customer support tickets so as to ensure that you will convert your early adopters into loyal users and brand advocates. In general, user experience on a software is very important, but it’s especially critical when you are talking about onboarding users to a new software. When new users go through the initial process of getting started with a software, there is a clear need to get them up to speed quickly and effectively, so that they can begin to receive the value they invested in. Adoption is really about the user recognizing that the software is solving the problems that he is facing, and for that recognition to happen, user onboarding must be fast and easy. Analytics are a must-have. Begin collecting data on who is accessing your site and what they do once they’re there as soon as you begin your onboarding process. Having this information lets you refine your onboarding process to better address your customer’s needs. Using analytics will allow you better understand what your customers are looking for in a user experience and help you deliver it. If your product fails to meet customer needs, causes frustration to users, or becomes cumbersome to use, your customer may conclude that the product is not for them. Don’t mistake your own passion for your product with a good understanding of customer needs. Even companies with the best buyer research and profiling can make the mistake of getting excited over adding features that they forget to ask whether customers want these features to begin with. Make regular customer engagement part of your onboarding process. Connecting with your users can provide valuable insights. Onboarding can be difficult, and although no two onboarding strategies will be exactly the same, all successful onboarding strategies feature a consistent desire to discover and deliver the needs of the customer, honesty about the product being delivered, and a commitment to ongoing customer support. Jason Silberman is the Lead Author & Editor of Training Station Blog. Jason established the Training Station blog to create a source for news and discussion about some of the issues, challenges, news, and ideas relating to training, learning and development. 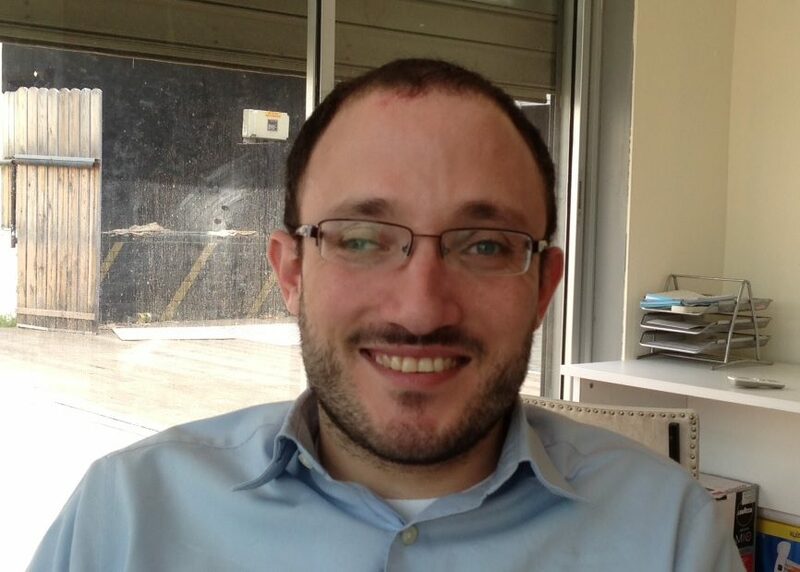 Jason Silberman is Senior Product Marketing Manager at BlazeMeter (now CA Technologies). Previously, he was Lead Author and Editor of the TrainingStation blog. Jason established the blog to create a source for news and discussion about key issues, challenges, news and ideas relating to training, learning and development. You can connect with Jason through LinkedIn.